With one of the biggest year-over-year improvements of any vehicle that was on sale throughout 2012 and 2013, the Subaru Forester’s U.S. market share in its category grew from 4.4% in 2012 to 6.5% in 2013. Yet as Subaru makes headway, both with the Forester and the overall brand, Honda’s top-selling CR-V attracts 2.5 times more buyers than their small utility vehicle. 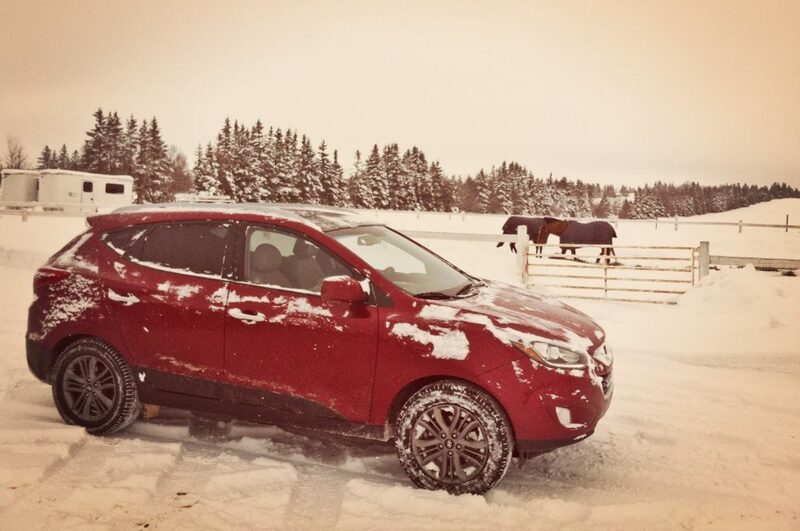 2013 was a record year for both the CR-V and Forester. And the Ford Escape. And the Chevrolet Equinox. And the Toyota RAV4. Et cetera. 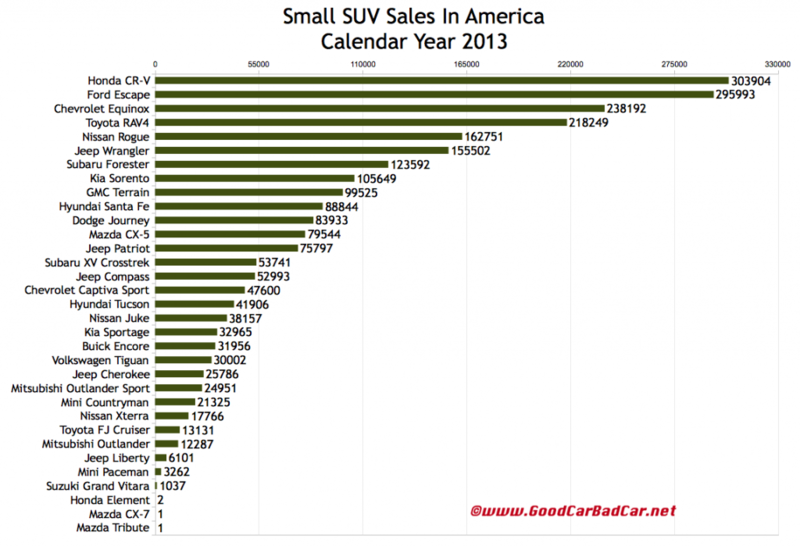 Small utility vehicle sales jumped 9% in 2013. In fact, during the month of December, as new vehicle sales growth slowed to a halt, U.S. sales of small SUVs and crossovers jumped 17% despite falling sales at General Motors, Kia, and Volkswagen. Midsize car sales in December fell 5% and grew just 2% in 2013. GCBC isn’t here to break down segments, an impossible task for any group, but to display sales data for the sake of comparison. The more ways sales data can be displayed, the better, right? This explains why you’ll see the Encore and XV Crosstrek are listed with small cars, too, and the tweener-sized Sorento and Santa Fe are shown with midsize SUVs and small SUVs, and the pricey FJ Cruiser and Xterra with midsizers, as well… because readers have wanted it both ways. You can always find the sales results for EVERY vehicle and form your own competitive sets by using the All Vehicle Rankings posts. GCBC has historically shown the Liberty with midsize SUVs but as the Cherokee – truly not midsize inside – replaces the Liberty, proper year-over-year comparison requires seeing the Liberty listed here with these smaller utility vehicles.